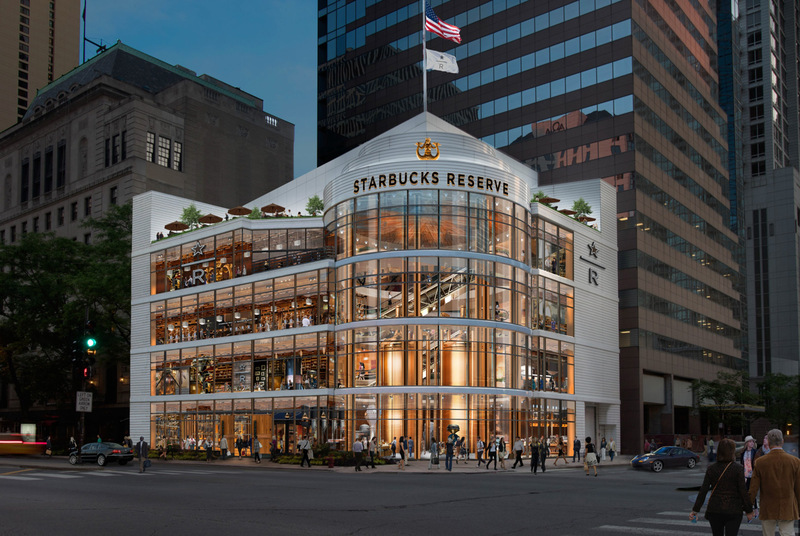 The roastery will be located in the heart of Chicago’s Magnificent Mile, along Michigan Avenue, in what is currently a flagship Crate & Barrel store. At four stories and 43,000 feet, it will be the largest Starbucks in the world. The Chicago Tribune has reported that the Crate & Barrel store is expected to close in early 2018 to make way for the caffeinated coffee compound. The Roastery will also include a working bakery and rooftop terrace. The Chicago roastery will be part of a larger move by Starbucks to open 20 to 30 similar projects around the world. The roasteries will supply the company’s Reserve Stores, which are set to open up to 1,000 new locations in the coming years. Chicago currently has three of the upscale Reserve Stores, with another planned for the West Loop neighborhood.